Land-based salmon farming is a new seafood segment in Maine. Because community members have many questions, Nordic Aquafarms offers the following answers to frequently asked questions about our operations and technology. 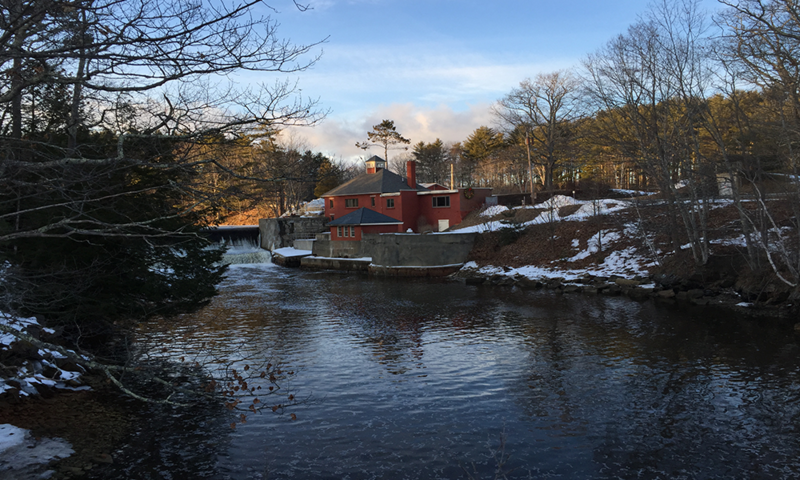 We will continue to update this Q&A summary sheet and provide additional information through newsletters and information meetings to address questions related to the benefits and potential impacts of the project in Belfast, Maine. Is Belfast the right location for this project? Absolutely. As we have said many times, we chose Belfast only after months of searching locations from Maryland to the Canadian border. The Belfast site not only seemed to fit our criteria for access to pristine, abundant and sustainable sources of fresh and salt water, but we also found a vibrant, engaged, progressive community located within a day’s drive of major markets in the Northeast US. We also found city leadership that was welcoming and encouraging, and had worked closely with other large businesses, such as Athenahealth and Front Street Shipyard, as well as many smaller businesses, to help them grow and succeed. The scale and scope of our facility will be very appropriate for Belfast, and we look forward to being part of the community. What are the benefits of land-based farming for the US and Maine? The US is the largest consumer market for seafood in the Western world. Yet, the options for farming a cold-water fish such as salmon, have been limited in the US. Currently the U.S. imports over 90 % of its salmon and most other seafood. Land-based farming can have a big effect on this equation in the future as locally produced fresh product increases. Complete indoor containment, without the use of public space in the ocean. The production method is rated as “best choice” for salmon by the Monterey Aquarium Seafood Watch due to its sustainability benefits. Will any potentially harmful chemicals be discharged? No. Nordic Aquafarms salmon is a pure and natural product. The only addition to the water is lye (sodium or potassium hydroxide) to maintain optimal pH levels in the production tanks. As fish feed, their metabolism lowers the pH levels, so we dose small amounts of lye to maintain the same pH levels as in the water we take in. Thus, we discharge water without any change to pH as lye naturally reacts with the water to maintain consistent natural levels. Small amounts of chlorine are used in the fish processing facility to disinfect processed water. Can any discharge harm other sea life or pollute the bay? 99 percent of nutrients such as solids and phosphorus are removed before discharge. Medications that conceivably could be harmful to other sea life, are not used in our facility. The main risk of disease would come from the bay itself, and thus our final treatment stage of intake water is treated with UV light to prevent intake of pathogens. Unlike other local discharges, our plant will discharge small amounts of residual nutrients far out from the coastline, and quickly be spread with ocean currents. There is nothing in the discharge that would harm local sea life, nor be noticeable along the coastline. Could the discharge attract more sea lice? This question has been posed to us. The simple answer is that sea lice require a great many hosts in larger concentrations to multiply. We are moving those hosts out of reach of any sea lice. For this reason, land-based seafood farming is seen as a very promising preventative measure against sea lice proliferation. The remaining salmon in the ocean would be the wild salmon. Those are thinly spread and only stay in the bay for limited periods of time. They do not provide the numbers or concentrations of hosts required to stimulate growth in sea lice in the region. When wild salmon pass through areas with great concentrations of salmon in the ocean acting as hosts for sea lice, the wild salmon are more vulnerable unlike the situation with the Belfast facility. How are disease pathogens controlled? We employ a number of strategies. Most importantly, we expose all incoming and outgoing water to doses of ultra-violet (UV) light doses to neutralize pathogens. After the water has been treated, we also supplement the water treatment with an all-natural flocculant made of shrimp shells and other natural products, that naturally binds with bacteria and virus, which are then filtered out. What is the risk of fish escape? There is virtually no risk. We are farming Atlantic Salmon, in safe indoor systems. Land-based salmon farming is widely recognized as a solution to the problem of fish escape, due to its location on land. Bad weather and storms will not result in escape. A number of mechanical barriers in the indoor production modules prevents escape. For this reason, land-based operators internationally are allowed to work with a range of species that are not native to their location, as is the case with our Danish facility Sashimi Royal working with Yellowtail Kingfish. These species would normally be forbidden for ocean farming in many locations. Will GMO fish or products be used? No. Our fish are not in any way GMO modified. Northern Europe bases its production on a natural salmon product that has been bred through careful selection to improve resistance to disease and to achieve good natural growth. Nordic Aquafarms will be sourcing feed ingredients and products that are from non-GMO sources, available in Maine. Is the land-based industry ready for bigger facilities? Nordic Aquafarms is uniquely positioned as an early mover in land based aquaculture. As technologies and know-how begin to mature, production can scale up very quickly if there is an attractive market. Land-based farming has been through an early innovator phase, where mistakes, learning and improvement has been going on for some years. Many of the risks and solutions are now much better understood by those who have a track-record with larger scale facilities. But land-based farming is not an “off-the-shelf” product, and thus experienced teams with practical experience and development capacities, remain a key condition for scaling up at an acceptable risk. Our senior staff has considerable experience, including year of work in fish farming and related fields before becoming part of the Nordic Aquafarms team. Two Norwegian companies have a strong forward position in this market and are considered to be international leaders in the segment. They have been built on the back-bone of the largest salmon producing nation in the world, and yet with a different sustainability mission. Norwegian owned Atlantic Sapphire (a different company) is operating a farm in Denmark and is in its first construction phase in Florida, which aims to become a 90,000 metric tons farm. Nordic Aquafarms is operating two farms in Denmark, constructing a third in Norway and permitting for a fourth in Belfast that will be smaller than the Florida farm. Both companies have staff that have a track-record of producing salmon with the capabilities to scale up. We do not recommend that start-ups go straight to building a large farm, unless they have staff with a robust track-record in facility design and production. Scaling is a step-by-step process, which we have done. We are seeing an explosion in interest for land-based seafood farming internationally, due to its many benefits. As with many other industries, there are certainly still risks. However, when international investors look to where to invest, the two Norwegian companies stand out. And by the time Nordic Aquafarms plans larger scale production in Belfast three years from now, we will benefit from additional learning. Every year, our investments in R&D are adding new insights into quality enhancement and risk reduction. We are testing, evaluating and developing cutting-edge solutions on a continuous basis. Will use of freshwater have any local impact? Although the Belfast facility will use much more seawater than freshwater, both are required for production. The use of freshwater is greatly reduced due to application of a range of environmental technologies, including so-called denitrification reduction. Our commitment to Belfast is that modelling of ground water withdrawal must show that any withdrawal must be sustainable without any adverse effects for us or the community. Given that we would be located at the very end of a large watershed that empties out into the ocean, preliminary results indicate that required withdrawal rates of approximately 1200 gallons a minute are sustainable. Sustainability will be carefully assessed and documented for the permitting process. It would make no sense for Nordic Aquafarms to invest without a sustainable fresh water resource and access to clean ocean water, and we certainly have no intention of doing anything to harm the availability or quality of either water source. What will the visual impact of the facility be? Nordic Aquafarms is a “green” company, as is reflected in how we develop and construct our facilities. A part of our US brand will be to highlight our sustainable facility development and beautiful location. In addition, most of the trees on the site are higher than the buildings, and thus provides visual buffering. Facades are being developed to give a soft footprint in their surroundings. As production is happening indoors, there is a limited need for outdoor lights. We do not see this facility producing any material light pollution in the area or on the skyline. Will the Little River dam and building be preserved and what about the trails? Yes. We recognize how important these landmarks are to the community and we intend to use them as an integral part of our brand image for the salmon produced in Belfast. Will there be noise and smell? These facilities are quiet running as infrastructure is placed indoors. There will not be noticeable noise for neighbors, beyond occasional trucks coming in and out. Our own trucks will be electric. There is no smell around our facilities. Operations are indoors and give off very little smell. By-products from fish processing are block-frozen and shipped out for sale to a variety of commercial customers. Sludge from the production is dewatered indoors and stored in sealed containers before further processing. How will renewable energy be used? The facility will be packed with renewable energy concepts. Solar on roofs, heat exchangers, electric vehicles and power consumption optimization systems are examples. Our energy costs will be a moderate component of the overall production costs, and we expect our facility to be a showcase for energy efficiency. What happens if the Belfast facility ever goes out of business? First of all, Nordic Aquafarms has access to large financial resources and would not pursue a project in the US, unless we had confidence in what we are doing and access to required capital. Our commitment to Belfast is an important step towards public listing of our company. Second, global seafood is a growth market in the coming decades. Global production needs to double in the next three decades according to FAO (Food and Agriculture Organization, United Nations). The main reason for this is global population growth, high protein efficiency of fish, and the sustainability challenges related to a number of other forms of protein production. Fish is widely recognized as the one most efficient ways of producing protein. Meanwhile, wild catch volumes have plateaued globally for a number of years. The world now farms as much fish as is caught in the world oceans. Third, if a Belfast facility were ever to go out of business, an opportunity would open up for other investors to come in at a much lower investment cost. That would be an attractive proposition in a global growth industry. Belfast is a good location for seafood production close to large US consumer markets. The US has a large seafood deficit and much of the seafood consumed is imported, thus there is a large attractive seafood market for investors. Will the facility be difficult to finance? Nordic Aquafarms shareholders are among the strongest investor names in Norway. In addition, we received inquiries every week from interested investors, including US investors. Recently, the other land-based company based in Norway, Atlantic Sapphire had a new share issues where they raised close to $80 M USD in five hours for their Florida project. This illustrates the tremendous capital interest for the forward positioned land-based producers in Norway. In addition, the board members of Nordic Aquafarms are strong names from the capital industry with a proven track-record of raising capital. The Belfast project will be a lot of work to get on its feet, but strong investment interest is present among our current shareholders and also in the capital markets. They are prepared to invest in Belfast over the next years. The capital base in Nordic Aquafarms will double in 2018 alone as a part of our scaling strategy. Please stay tuned to future additions to the Q&A section on our website.